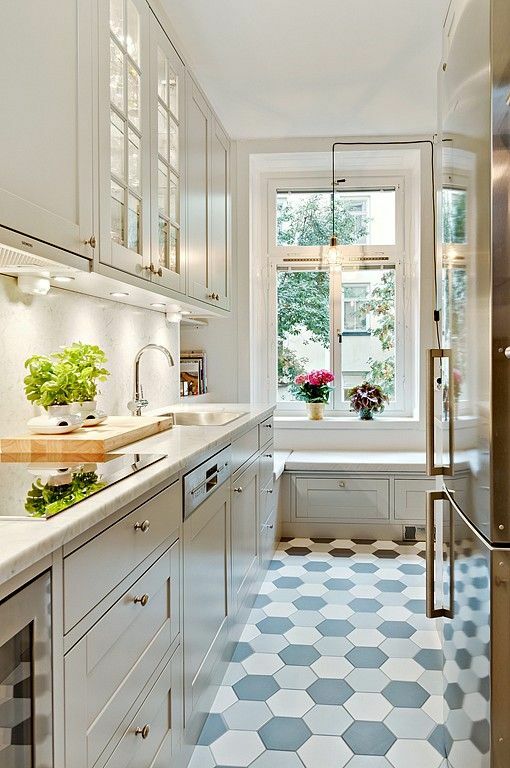 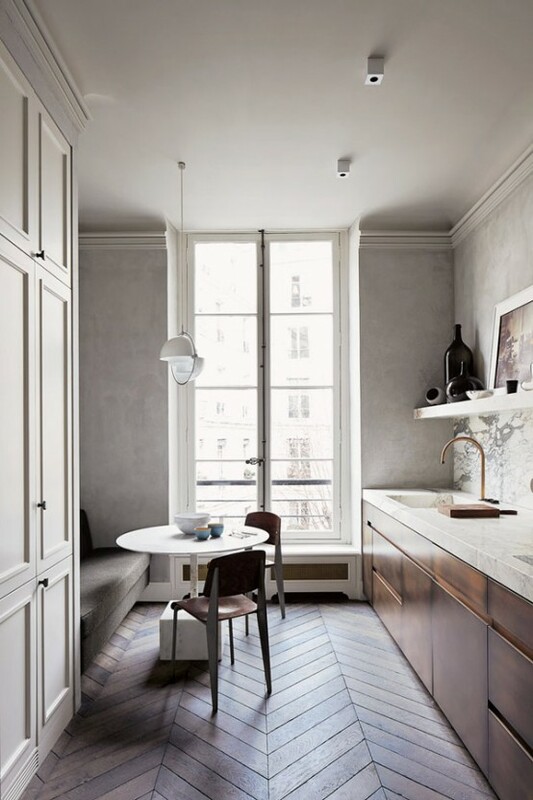 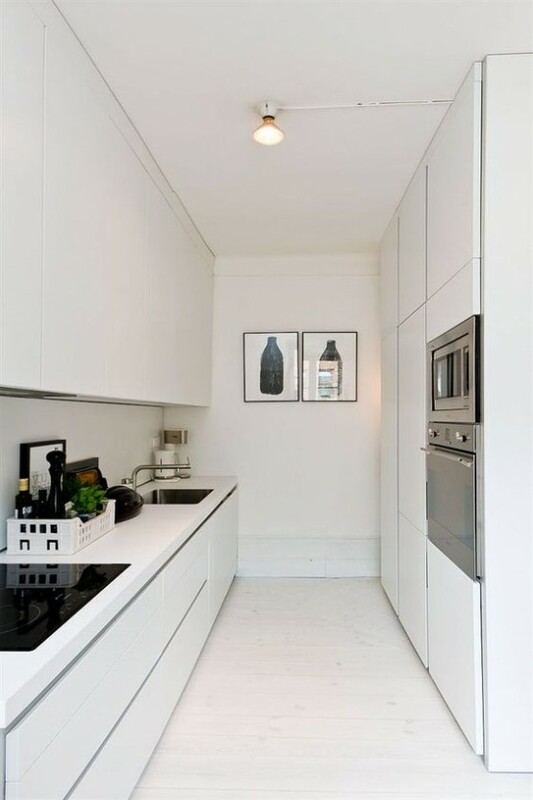 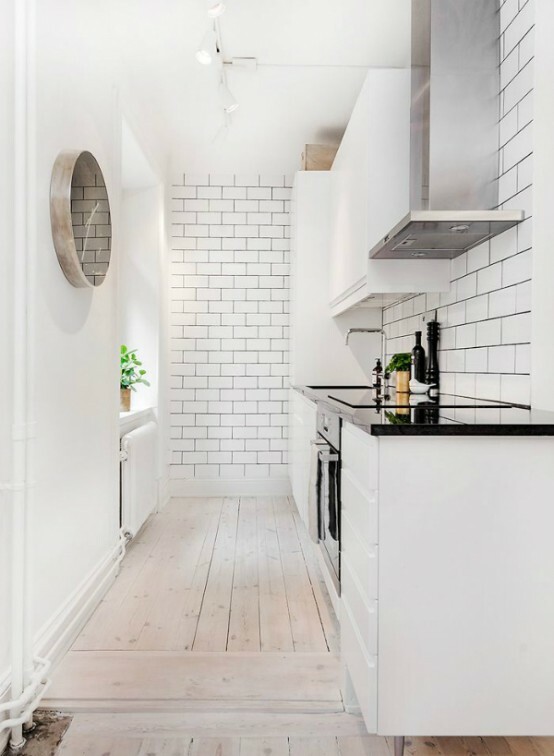 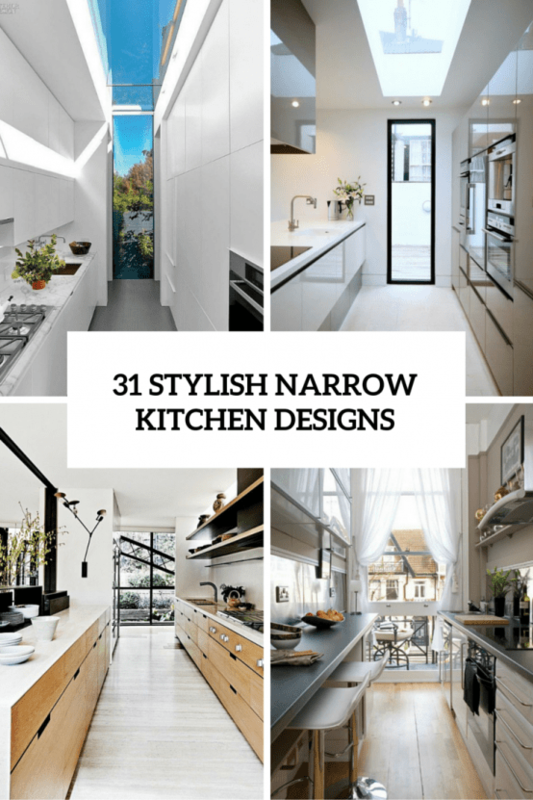 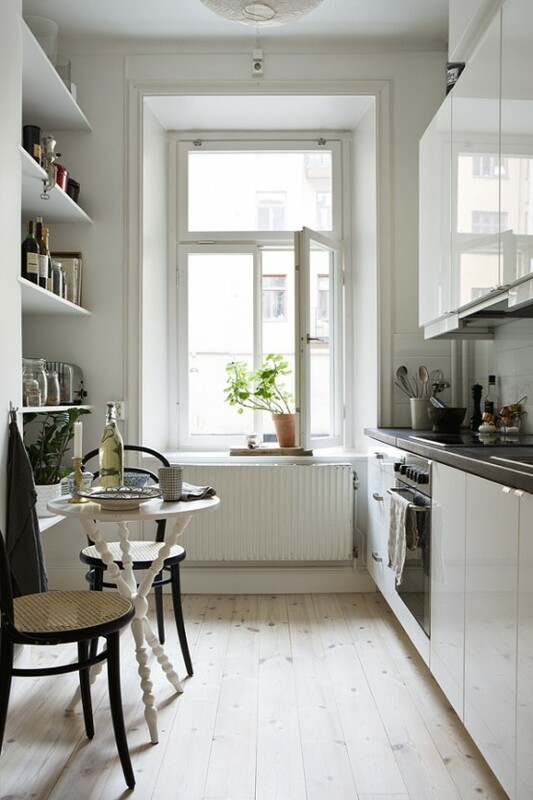 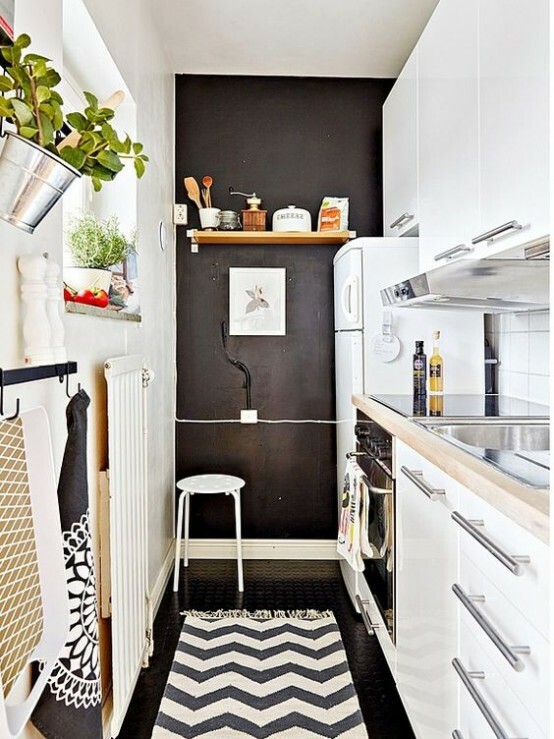 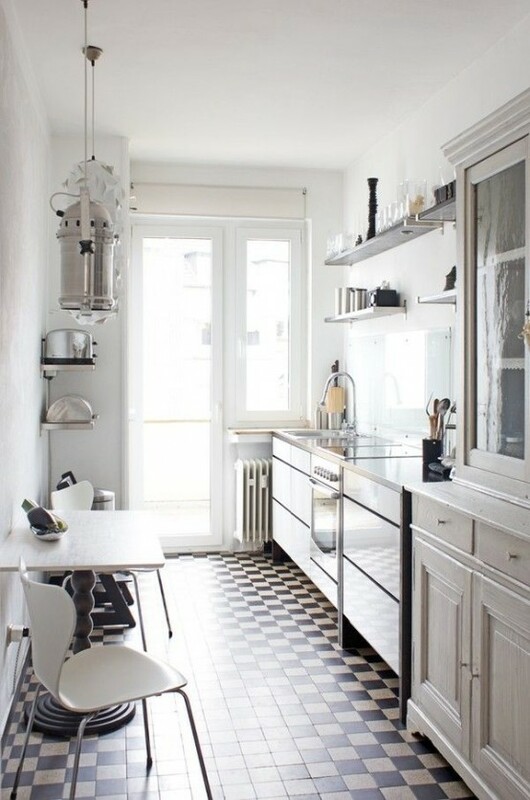 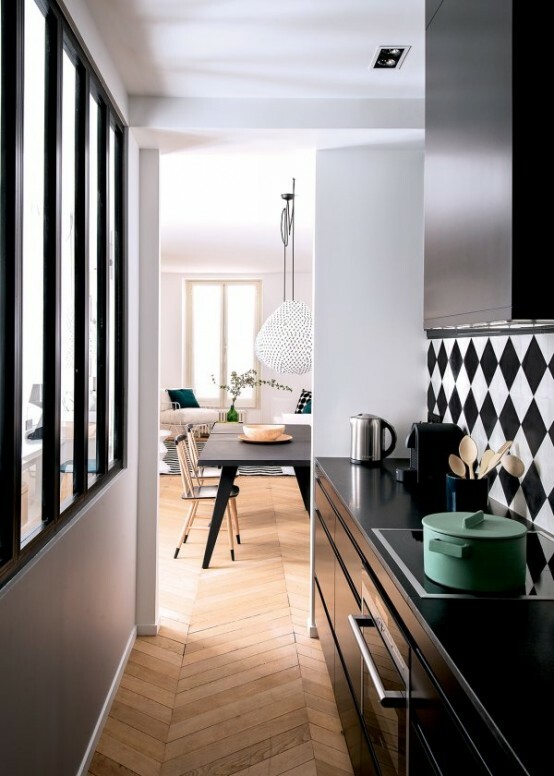 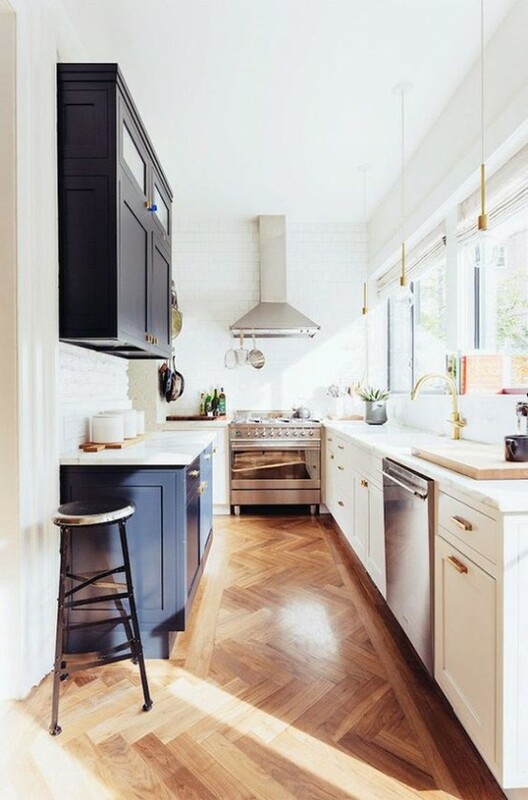 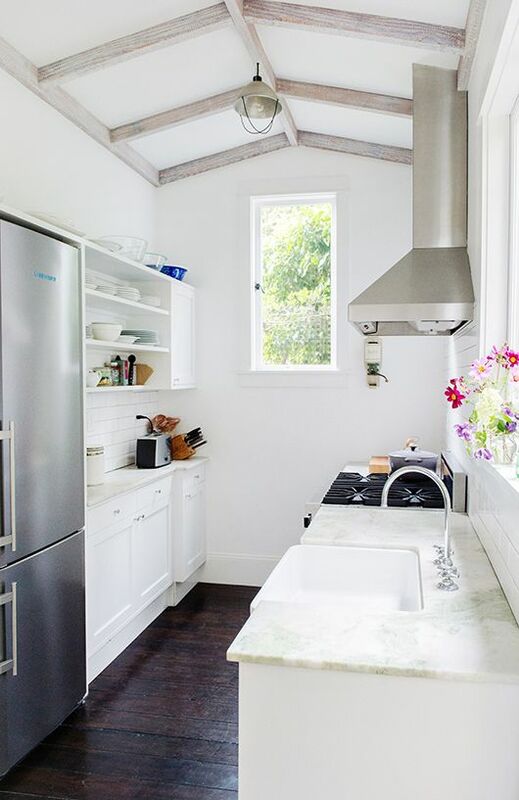 Small kitchens can be frustratingly crammed, especially narrow ones, but there are always a few design solutions that could transform small space into a stylish room. 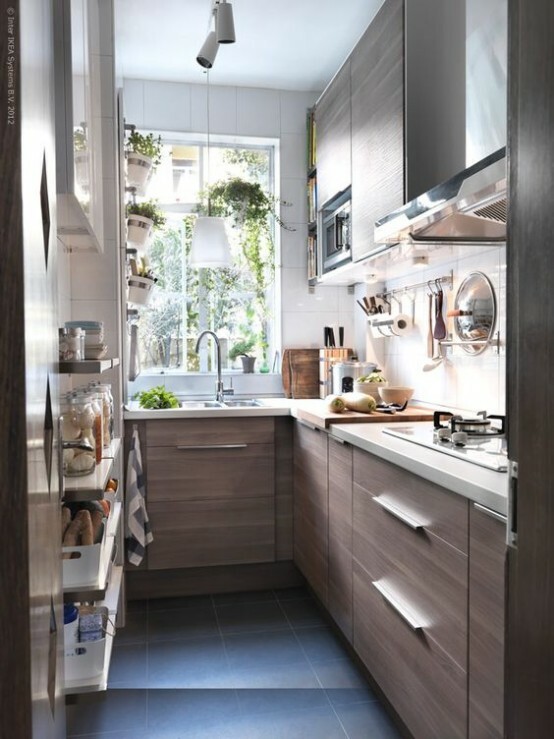 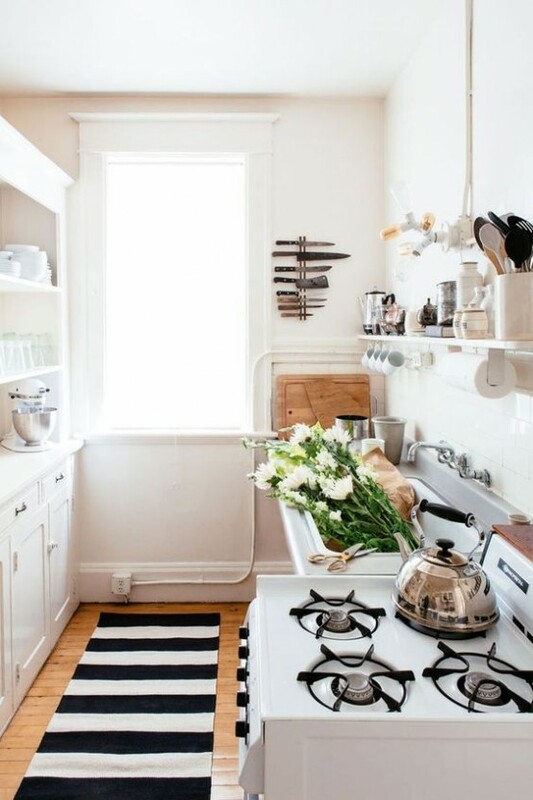 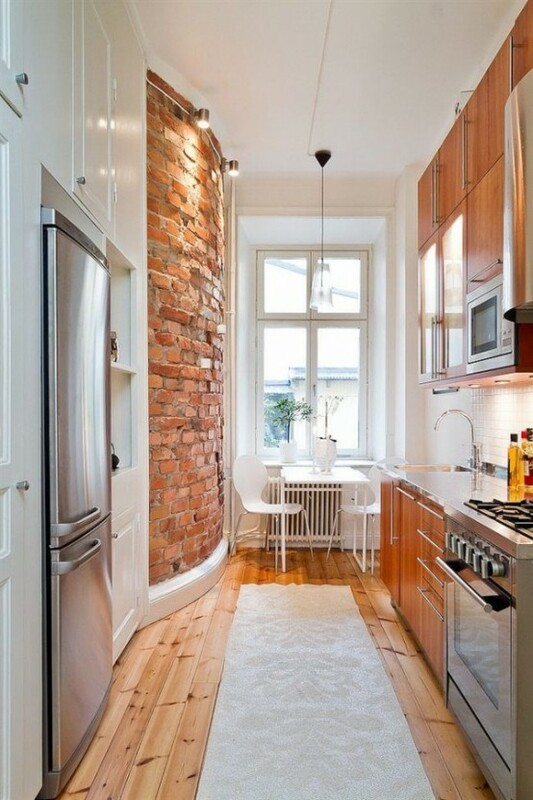 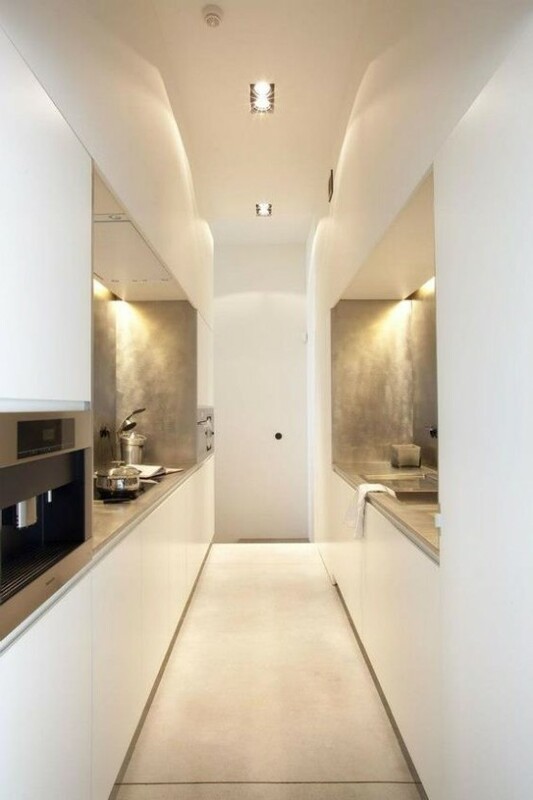 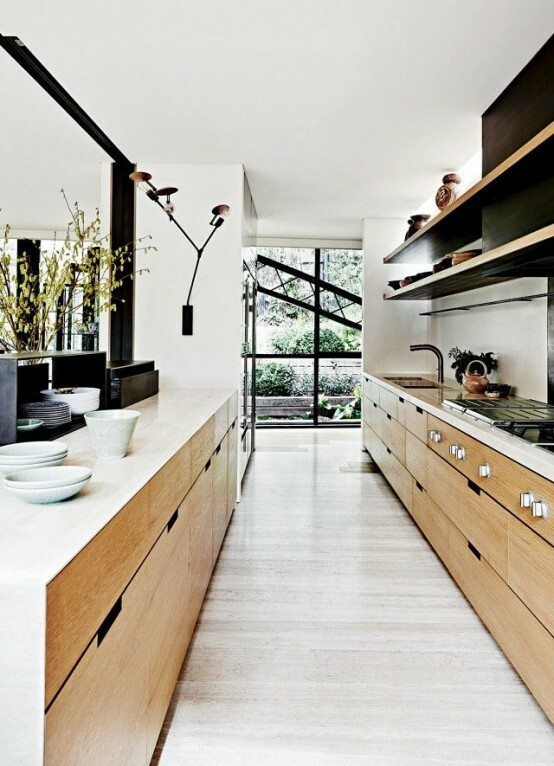 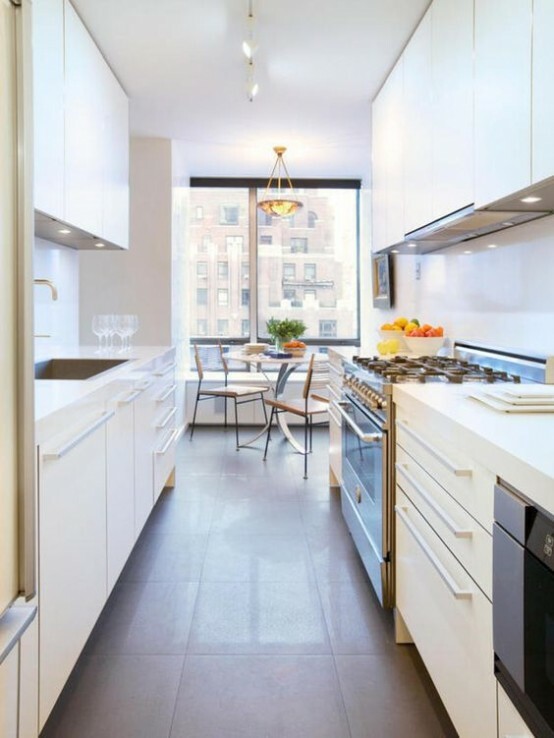 The key to successful narrow kitchen design is functionality. 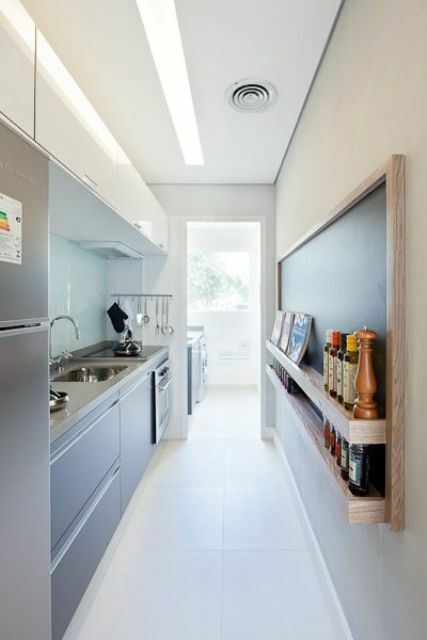 Storage and working surfaces are such necessities that can be installed along both or just one wall. 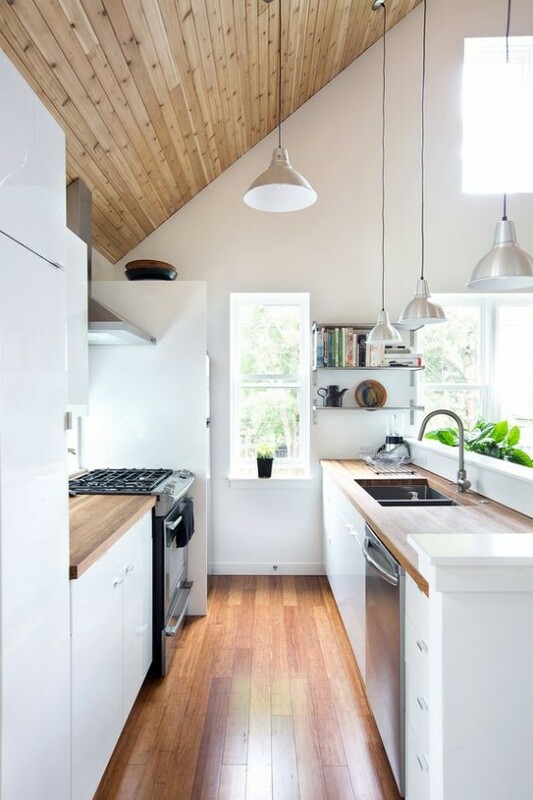 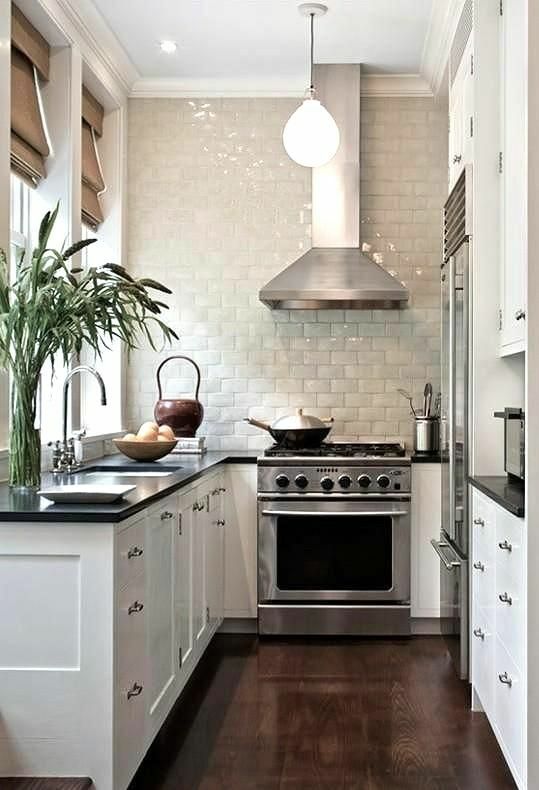 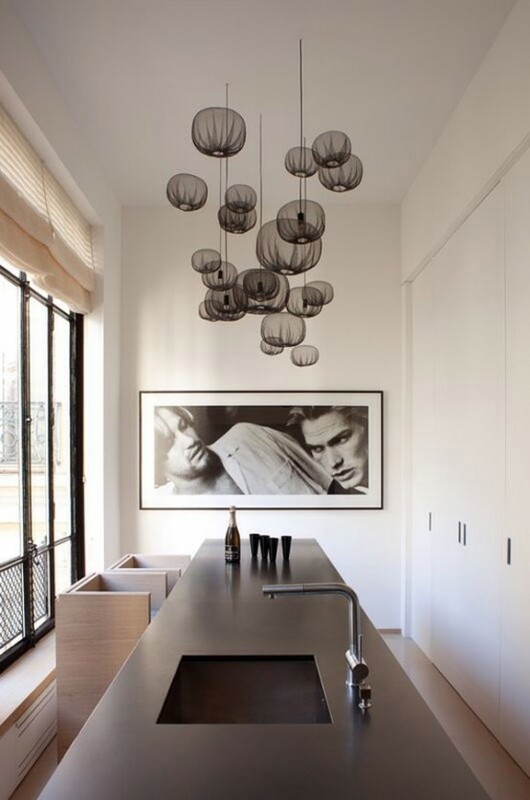 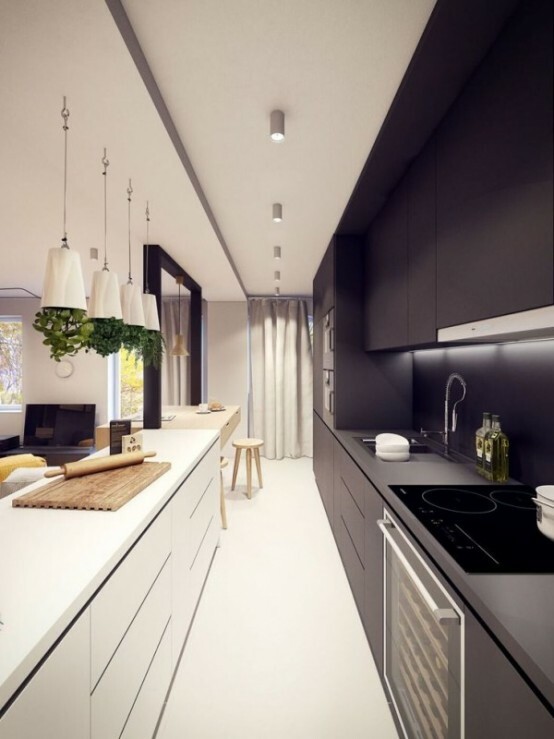 When it comes to design, choosing light colors is better if you’re looking to make the kitchen look and feel bigger. 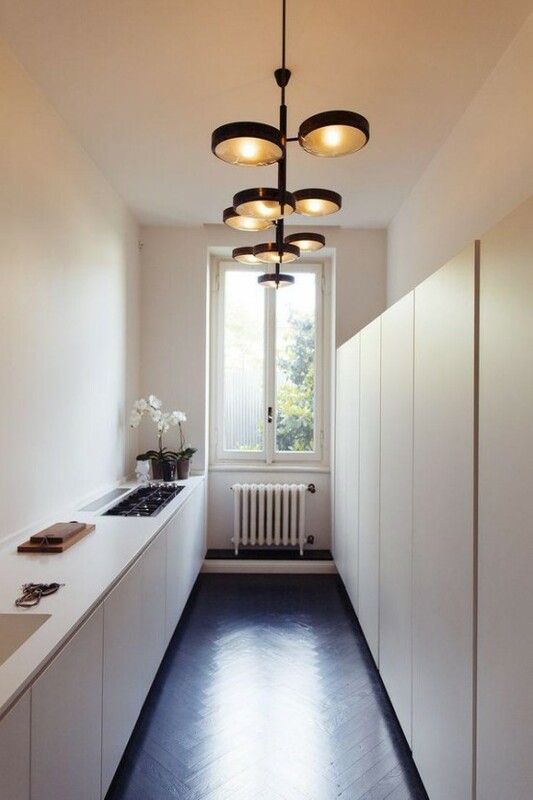 But if you want you can install colored cabinets to contrast with the floor, opposite wall, or rest of the furniture. 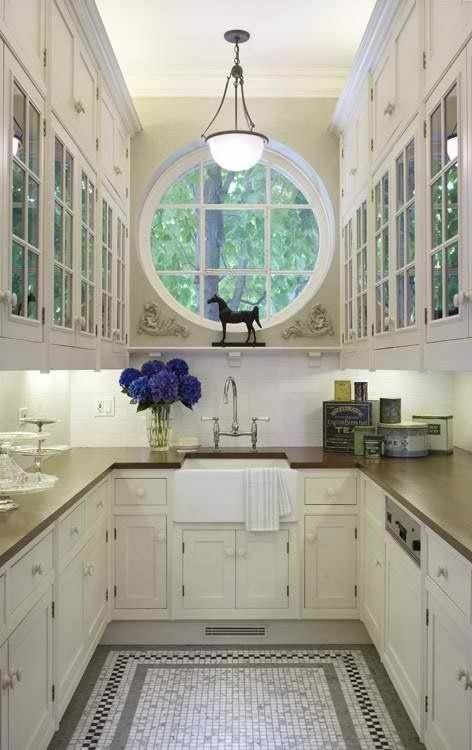 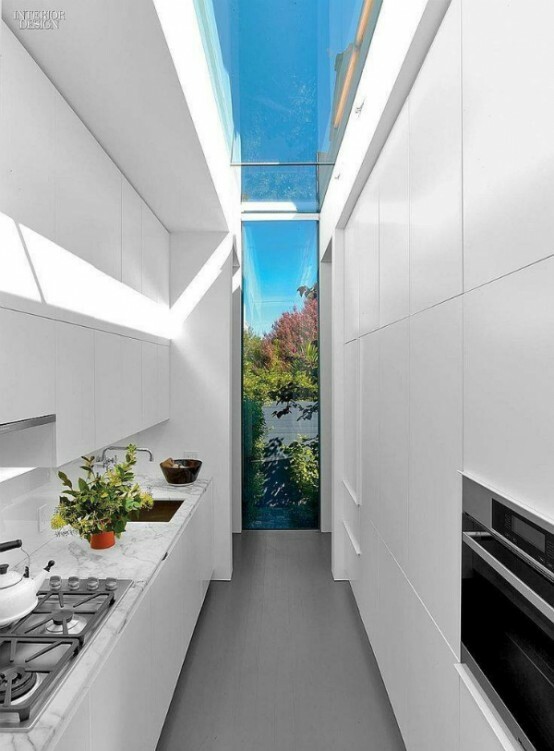 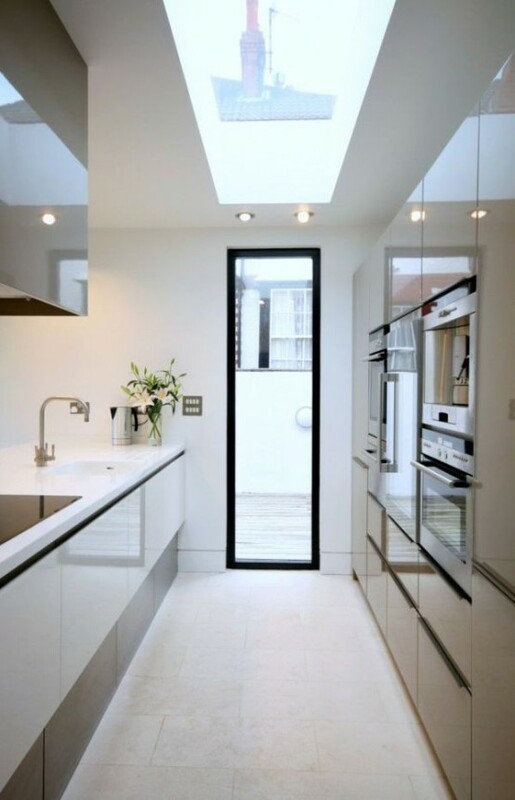 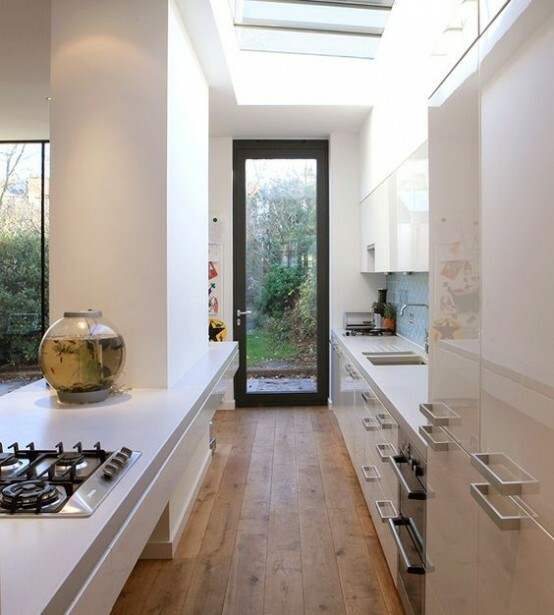 You can also go for bigger windows if the architecture allows or even install a skylight. 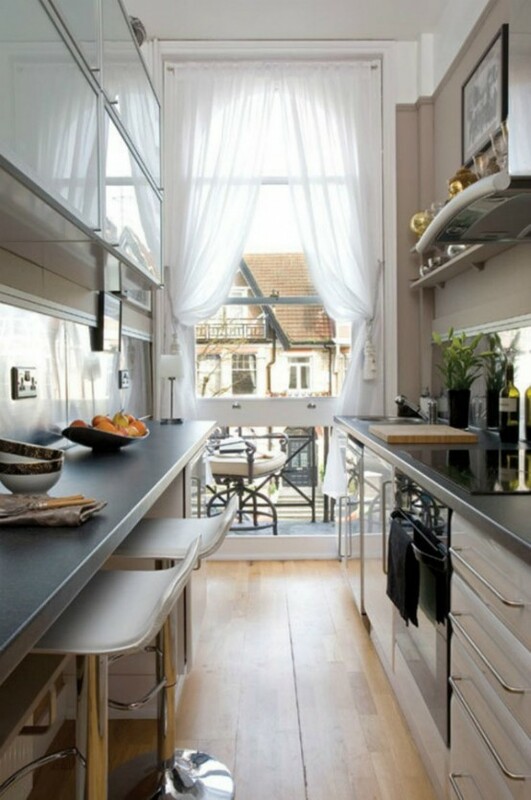 You can tuck a seating area closer to the window and still have a freestanding cabinet to keep all the tableware or function as a pantry. 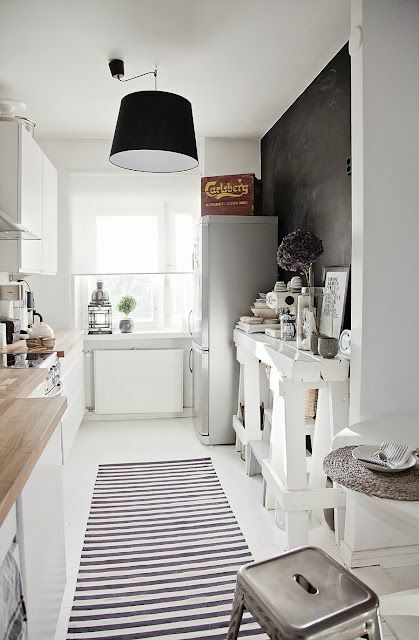 Look at the ideas below to get inspired!